Set to Music by Joseph Barnby. Illustrated by Herbert Marshall. Sm. 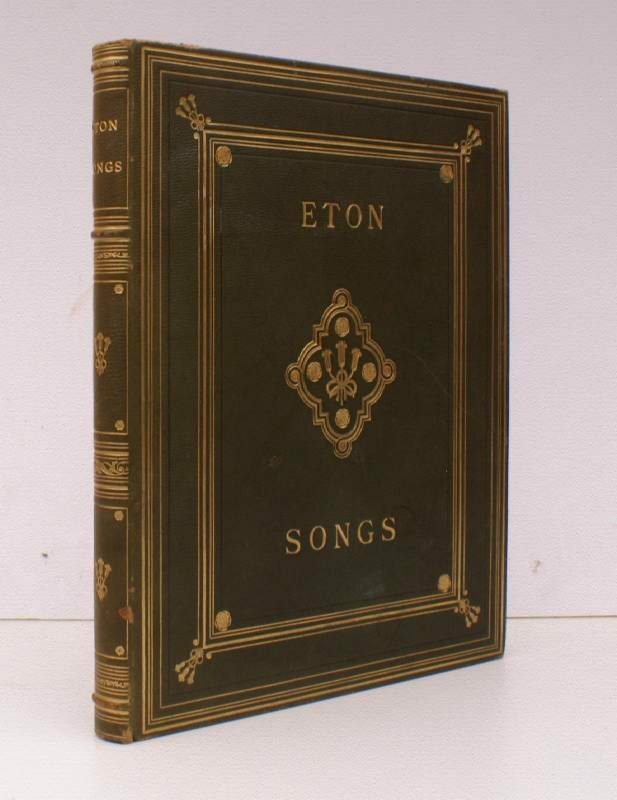 folio, First Edition, with frontispiece (original tissue guard present), title-vignette and numerous illustrations (a number full-page) in the text, endpapers very lightly spotted; elegantly bound in green full morocco, sides with multiple frame border stopped at corners by Eton lilies and rosettes, and enclosing title and decorative cartouche reprising Eton lilies and rosettes all in gilt, back gilt extra, gilt edges, gilt doublures, marbled endpapers heightened in gilt, a splendid, crisp copy in themed Eton binding. A PRESENTATION COPY FROM AINGER TO HIS PUPIL ANGUS VALDEMAR HAMBRO WITH THE FORMER'S SIGNED HOLOGRAPH INSCRIPTION ON FRONT FREE ENDPAPER. Ainger (1841-1919) taught at Eton until his retirement in 1901. Hambro (1883-1957) was educated at Eton, elected twice as MP for Dorset and served as High Sheriff of the county. This copy was presented at Election 1900.